Digital Cameras in 2018: We still need them! HomeNews and ReviewsDigital Cameras in 2018: We still need them! November 22, 2018 Jiahao Zhang News and Reviews Comments Off on Digital Cameras in 2018: We still need them! Despite the fact that many smartphones are already equipped with advanced cameras, most smartphone companies try to improve their technology by using double-camera, triple-camera to make the colour brighter and the image quality better. People tend to shoot photos and videos to record every memorable moment simply taking out their smartphones instead of using DSLR or DSC. However, for those who are interested in photography or professional photographers, they still need DSLRs to shoot photos. The process of using DSLR is still pretty enjoyable and interesting and pictures taken by DSLR or mirrorless cameras are much better. For professional users with high purchasing power, Nikon D850 would definitely be one of your best choices. It can be defined as a speedy and versatile full-frame performer, with 4K video to boot. It is a DSLR which highly features its versatility. The 45.7MP sensor provides plenty of resolutions for different scenes such as landscapes, fashion and still-life setups, while the max burst speed is 7fps, which means that it will easily take pictures with actions and users can boost this to 9fps with an optical battery pack. At the same time, with the 153 point AF System, you can assure that the high-resolution images are as sharp as can be. The full-frame 4K videos show that it is also an edge tool when you need to record some footage. The price is definitely a challenge, for professionals, CDN $3999 is also not a small overhead, but it can be determined as one of the best cameras in the current market, consumers can still consider buying it despite Nikon’s smashes in recent years. Nikon D850 is highly recommended to professional photographers, they can easily get excellent pictures with it, however, for beginners or enthusiasts, in terms of the excessive performance and fancy price, it is probably not the best choice. Sony A7 III is obviously much more affordable for the masses, the price is of CDN $2599. Sony A7 III is a mirrorless camera with a well-rounded spec sheet. It is also a versatile camera we can see in today’s market for shutterbugs. 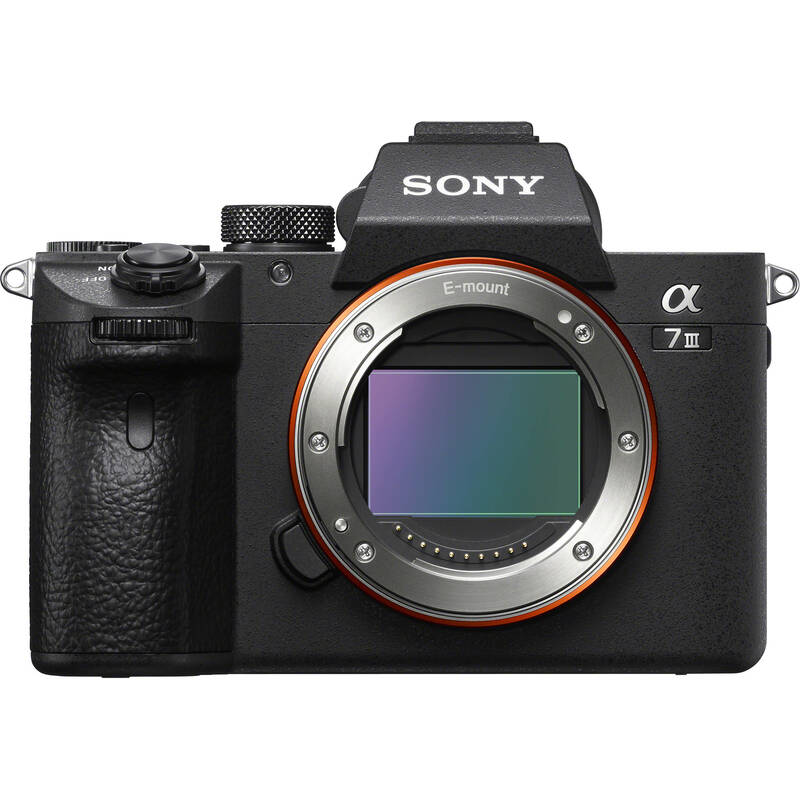 The Sony A7 line provides several different choices, A7 III is the best choice among them. Compared to its predecessor, it is updated in almost every way. It has a 24.2MP full frame sensor, which is evidently enough for most users. With regard to its video specs, it becomes much better with the 4K/24p option. Its continuous shooting speed is 10fps, which fits some professional situations such as sports photography. According to some reviews online, the actual image quality is stellar, overall speed is satisfactory and the AF system shines. Despite some inherent imperfections of mirrorless cameras, Sony A7 III is one of the most perfect mirrorless cameras in the world. It is definitely worth every penny you spend. If you are just a beginner or just light user, you may not want to spend a huge amount of money on a camera and then leave it idle. We also recommend Canon EOS Rebel SL2 as an all-around DSLR for beginners, the price is only CDN $594, which is affordable for most people. This model provides a vari-angle touchscreen with a simple Guided user interface, even if you are an absolute beginner, you will find it easy to get the hang of it. With this price, you can shoot pictures of 24.2MP and 1080p Full HD videos. On top of that, you can get Wi-Fi, NFC and Bluetooth to keep you connected to your smart devices and laptops without any cable. The size of it is quite small so that users are able to carry it everywhere even on vacation and the image quality is also guaranteed. It also features the 5fps burst shooting and the DIGIC 7 processing system. However, there are also some aspects that are not that satisfactory in terms of its price. Its AF system only has nine points, which is somewhat basic. At the same time, the kit lens maximum aperture only f/4. As well, you cannot shoot 4K videos with it. In summary, for different users, we recommend several digital cameras of a different price range. Nowadays, many smartphone companies also emphasize the function of taking photos for smartphones, you can also choose Huawei Mate 20 Pro, Apple iPhone XS Max, Samsung Galaxy Note 9, Xiaomi MIX 3 etc. to get a superb photographic experience. No matter with DSLR, mirrorless cameras or just smartphones, as long as you love photography and are willing to find beauty in daily lives, you can always get perfect shots.